Negara (Antara Bali) – Bad weather that occurred in Bali Strait, made the authority of Port Gilimanuk, Jembrana District must close twice crossings on Tuesday (21/11) afternoon and evening. “We are forced to close the crossing in the Bali Strait, due to the rain and strong winds that endanger the shipping,” said PT.DPDP Indonesia Ferry Unit Manager Gilimanuk Port Heru Wahono on Wednesday. When closed at 12:55 pm until 13:55 pm, the queue of vehicles that want to cross to Ketapang Port, Banyuwangi Regency, East Java Province is not so much that quickly exhausted immediately. But at the second closing at 17:45 pm until 19:45 pm, the port parking lot quickly filled with vehicles, because at that hour on a typical day indeed the vehicle is about to cross quite solid. 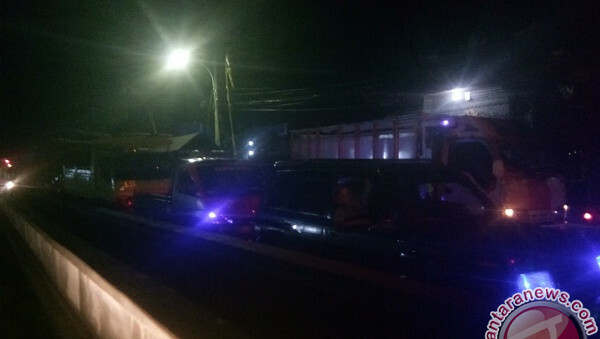 At 21.00 pm, the queue of vehicles has reached the front of Gilimanuk Village Office, or about one kilometer from the port. Vehicles that keep coming, make the queue longer and almost two kilometers, so the port authorities speed up loading and unloading the ship. “We apply the system as when the flow of homecoming, which is so full of vessels immediately departed so that the queue of vehicles can be reduced quickly,” said Heru. He said the queue of vehicles that lasted until 02.00 pm, the impact of the closure of the port which it should do for the safety of passenger ship. According to him, in the evening until the evening, the arrival of vehicles to the Port of Gilimanuk who want to cross to the island of Java is solid, so the closure of about two hours to make the queue long enough.